Home	→ Blog → LACE FRONTAL WIGS → Full Lace Wig vs Lace Front wig, What is better Choice? Full lace wigs are popular these days, we easily use it and bring great benefits. Those who decide to buy a wig, sometimes mistaken for a full lace wig and a lace front wig. The difference between both full lace wigs and a lace front wig is not clear to them. Full lace wig vs lace front wig. What is the difference? Which is better? This blog, We will talk about this topic in this article. Hope you can get it! 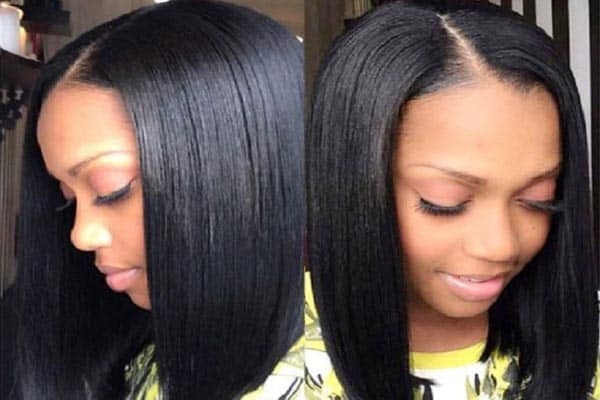 To make a wise and reasonable decision, first and foremost, you should understand what are they, their features and the differences between full lace wig vs front lace wig as well as their features. The full lace wig is a popular kind of lace wig. It is constructed from a lace cap that covers the whole head, 100% human hair is knotted into this by hand. With a full lace wig, you can create a parting anywhere you want. Or you even can wear the hair up at the back without detection that you are wearing a wig. Basically, it is a full hand-made wig, so it is breathable and light on the head. Moreover, you can have a realistic appearance grow along the scalp. We can easily point outs several advantages of full lace wigs compared to front lace wigs. First, they are much more versatile, can be parted as every way you want. Thanks to this benefit, they become strongly attractive in customers’ eyes. The second benefit we want to mention is that full lace wigs with lace all around available for being worn a high ponytail. They make people have a more natural look. They are also lighter because of knotted hair strands. Finally, the users can get a perfect twist out. However, everything has both positive and negative sides. Full lace wigs still have some small disadvantages. They are usually slightly more expensive than front lace wig because they are totally made of lace and every single hairpiece knotted by hand. Some customers who have never worn wigs before may find that full lace wig is a little bit more complicated to wear. A Lace Front Wig is little different from a full lace wig. The lace front wig is attached to the front edges of your head, along with your hairline where there is often a lace panel. The lace is often 2-3 inches wide at the front. We use a kind of material which is stronger and thicker to make the rest of the wig. And the hair strands are attached in wefts to this material. The rest of the base is thicker but still comfortable. 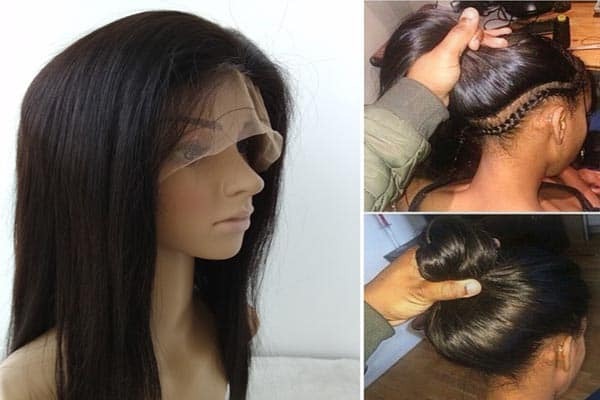 Lace front wigs square measure sometimes glued at the front and have straps that may be tightened at the rear and combs at the sides to mend them securely to the pinnacle. As full lace wigs, front lace wigs provide the feeling of a natural looking hairline because the lace is almost invisible. The price of these wigs tends to be cheaper and more affordable to customers. They are also simple to wear even for first-time wig wear. They do not have a lace around the back so it is impossible to create a high ponytail with the back. However, the hair can be parted in the middle or the sides. Did you lose all or most of your hair? Are you not confident and satisfied with your own hair? Or you just wanna try a new and fashionable hairstyle without doing any processes which can directly damage your hair? Let’s go to laylahair.com in which you can find a wig that will stay true to you for a long time. Full lace wigs and front lace wigs are the two most popular kinds of wigs for every customer. They help protect the hair, bring people a good way to change their looks without the commitment. A lot of people rock them and they become more and more natural looking by the day. Full Lace wigs and front lace wigs in Layla hair are among the most popular and beautiful products on the market all over the world. Both of them madefrom the highest-quality materials, 100% natural, Remy hair, no chemical treatment, no harm. You can enjoy the best experience because they have very minimum tangle, shedding or lice. Another favorite point of these products is that you can make various different types of hair. Because they can curl, straighten, style and bleach. Raw hair which is has never experience any chemical processes makes them be highly attractive and gorgeous. A truly good human hair wig can final from 12 to 24 months if adequately maintained. Our company supplies various lengths from 8 inches to 20 inches and also numerous colors for customers can choose. However, a full lace wig vs front lace wig, between these two, what is better choice? 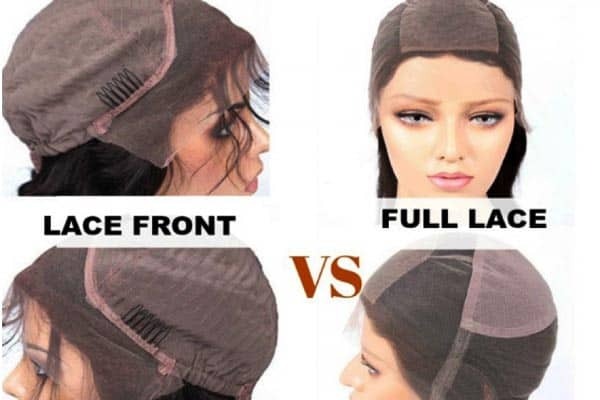 After reading all of the above information, we believe that you have knowledge about full lace wig vs front lace wig, and also understand the differences between these two. Both of them have advantages and disadvantages, you can make your own decisions according to your hobbies and demands. So now, why don’t you buy a human hair wig? It will absolutely change your life.